Why do People Believe on Rumours? Rumours multiply in the atmosphere of fear. For instance, if you are getting scared of the danger of earthquake, you will easily believe on the rumours of earthquake spread around you. Doubt also one of the factors that force you to believe on rumours. For example, you are in abroad and you doubt your wife. In this situation, if you heard something negative about your wife, you might not think that the rumour can be untrue. Ignorance is another cause you easily believe on rumours. For example, if somebody says you that a scientific research happening somewhere can ruin the life on the earth, then you may accept the rumour because you may not have idea and knowledge about that research. Some rumours are promoted by coincidence. For example, you heard quarrel in your neighbourhood. You heard the sound of ambulance in the midnight. In this situation, if you don’t see your neighbour in the morning, you may think that they have been hospitalized. Can 7 People Have Same Face in Reality? You might have often heard that 7 different people in this world can have same face structure and body shape too. Is it really possible to have 7 same faces in actual practice? It is very difficult to draw any conclusion without deep study on the base of genetics. Each and every kind of structure, either in face or any other body parts are due to the result of phenotype and genotype. Genotype is determined by the genetic material DNA (in human) only. However, phenotype resembled can be later on affected by different types of environmental factors. Mutation can also occur which can bewilder the normal concept we have till now about the phenotype and genotype. The morphological (physical) structure seen as an outer appearance due to the effect of genotype as well as influence of environmental factors is known as phenotype of an organism. Mutation directly affects the genotype acquired from heredity (process of transmission of physical and genetic characteristics from parents to offspring). Genotype affects phenotype. The genetic makeup or the genetic structure of an organism generally acquired from heredity, which is stored in DNA of an organism, correspondingly resembling the phenotype is known as genotype. It is the gene where mutation takes place. Taking into the consideration of the time right when human species started to till now, evolution played vital role to change us drastically. Although from generation to generation we have evolved but we are all diversified forms of our single ancestor. The genes contained in our ancestor got mutated in different ways during cross fertilization due to which hybrid species were formed which were genetically different. During the hybridization of the species the genotype of the species go through the changes that make changes in phenotype. The genetic change makes physical change in us. The face, body structure, characters required for adaptation, etc. 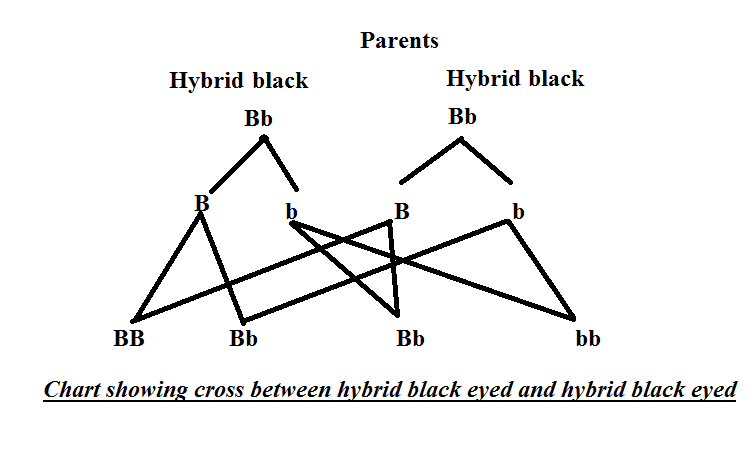 get modified in every filial generation during cross breeding. The question may be raised that how was it possible to form species of different genotype to form non-sister species (species from different parents having same genotype) when there were only one maternal and one paternal form of the very species, say human. As mentioned above, the mutation plays vital role in abrupt evolution. The geographical aspects, mode of nutrition and different environmental factors bring about a change in the genetic structure of the species. Furthermore, different rays of the sun also alter the coding of DNA. It changes the genetic structure. In this way, species of different genotypes are formed. When non-sister gametes are fertilized, new hybrid form of the species is formed which is different in both genotype and phenotype. This phenomenon continues for several thousands of years to form large diversified groups of same species, which are distributed all over the world. This is the reason we are having people all over the world having different faces and body structures. Everyone differs from each other in at least one or two genetic or physical characters. Nevertheless, we hear that two people having same face were reported. Now after getting the background of what brings about a change in the genetic and physical structure of any species, let us go deeper to find out whether it is possible to have same face by two people or not. 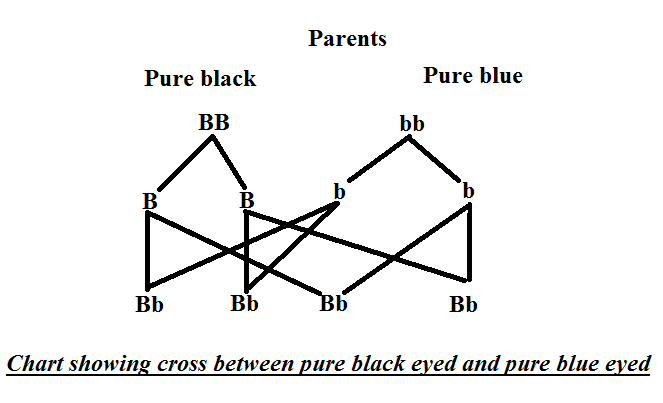 *In this diagram, BB, Bb and bb represent pure black eyed, hybrid black eyed and pure blue eyed respectively. 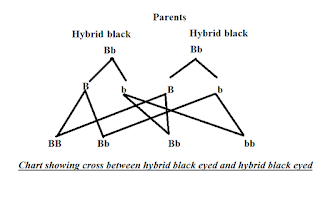 According to Mendel, the dominant character is always seen in first filial generation which suppresses the recessive character but they do not mix with each other and recessive character can be seen in next generation as it is just hidden but not vanished. The occurrence of one contrasting character doesn’t affect the occurrence of another contrasting character. Although there are many contrasting characters to be considered which determine the genotype and phenotype of one single species, there is great possibility of having at least 90% of common contrasting characteristics after many filial generations. According to the law of Mendel, the contrasting characteristics if do not appear in one filial generation, it can appear in next filial generation. Similarly, changes seen in one generation of human can again come back as previous one. Let us consider a generation in which offspring have black eyes. In next generation offspring can have blue eyes as hybrid product. Let this line of generation continue up to where it can. Let we assume that current generation has blue eyes. 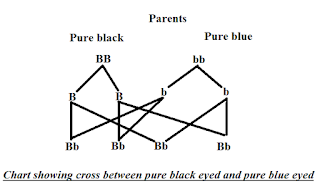 Let us suppose another line of generation which had blue eyes before and after hybridization they have blue eyes again after passing through many filial generations. At the end, product of both impure lines will have common contrasting character i.e. blue eyes anyhow. In this similar process, if we consider the changes in all the contrasting characteristics like height, color of hair, presence of dimple in cheeks, shape of ears, etc. If there is similar genotype seen in two different people then the physical appearance is similar. After many filial generations, it is possible that people can have almost same genotype with each other. It is the reason we find different people with same face. They almost seem to be clones. So, if people have same or similar genotype then they will surely have similar phenotype. They can have exact same face and body structure. Not only as rumor but for sure it is possible that 7 people can have same face. Not only 7, thousands of people can have similar face if they have similar genotype. It is true that after many generations and evolution we go through, we again get back to our ancestor’s characters which were being hidden as recessive characters due to presence of dominant characters. Don’t worry thinking that we will completely turn out to ancestors as many of those rare contrasting characters have already got vanished with them but still some characteristics may appear sooner or later if they are hidden. So, when you meet someone of similar face with yours, feel lucky that you got someone of similar genotype of yours and you have some kind of fade connection with that person. That person might be from the same ancestor of yours.